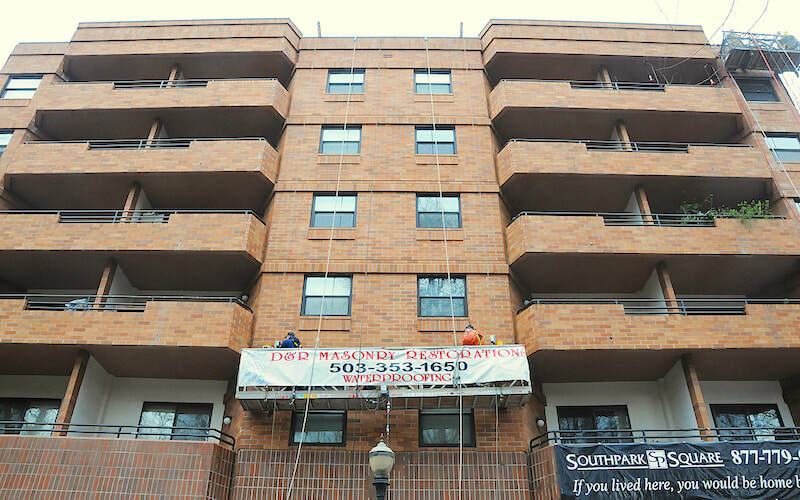 Southpark Square restoration and upgrade made use of the many skills of D&R Masonry Restoration. 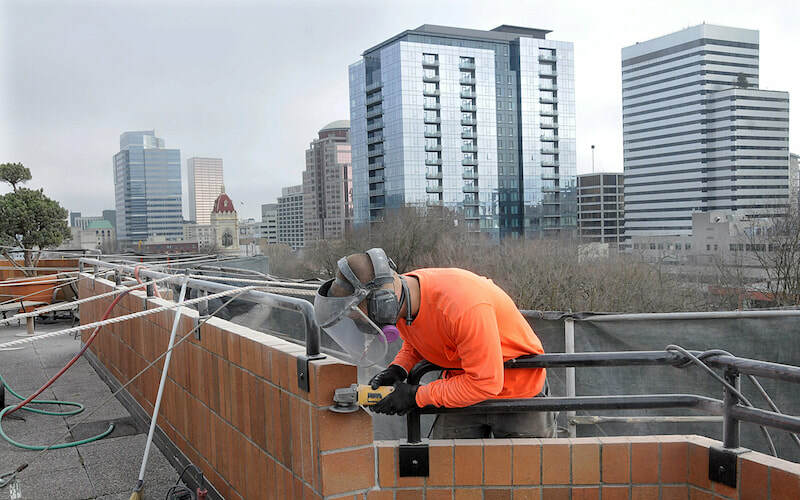 If you had seen all of the workers, swing stages and other equipment that was used on the exterior the Southpark Square Apartments in downtown Portland, it would have been hard to believe all that work was done by one construction company. 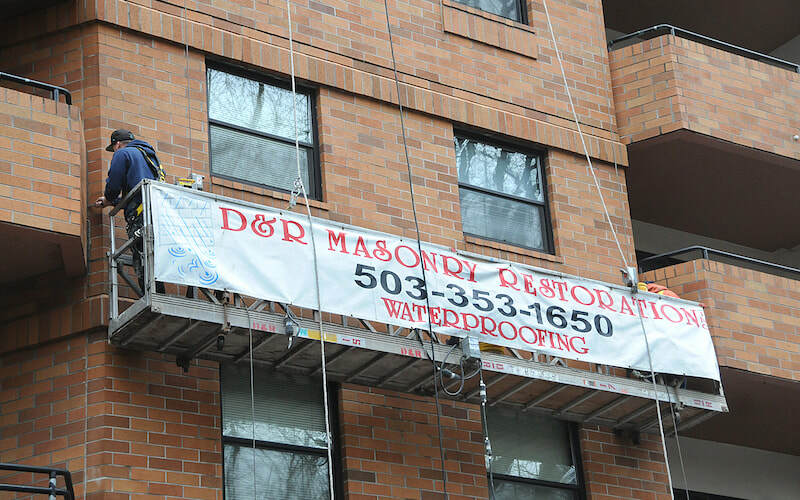 But, D&R Masonry Restoration ran the whole project. 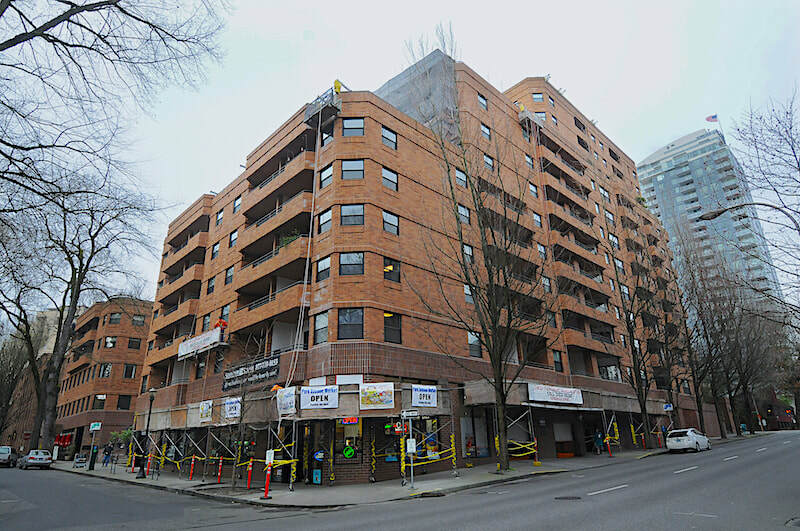 The 191-unit, 11-story apartment complex with ground-level storefronts near Portland State University was built over twenty-five years ago. 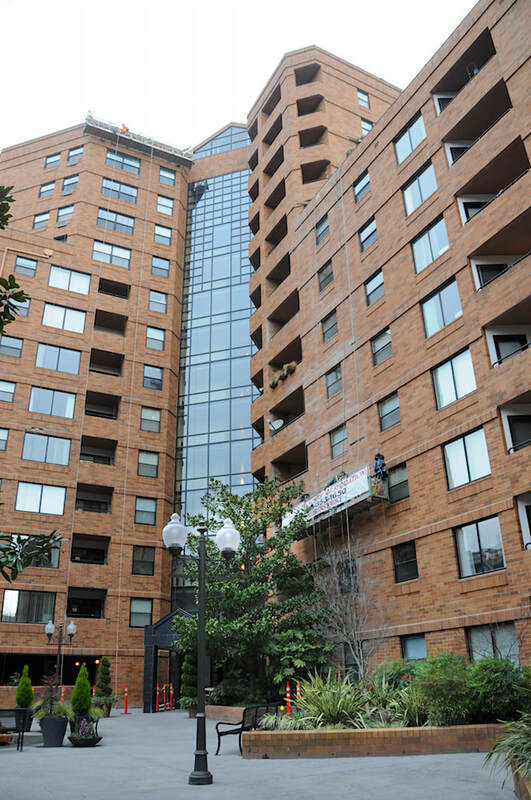 Due to water seepage, the exterior needed a thorough going over. 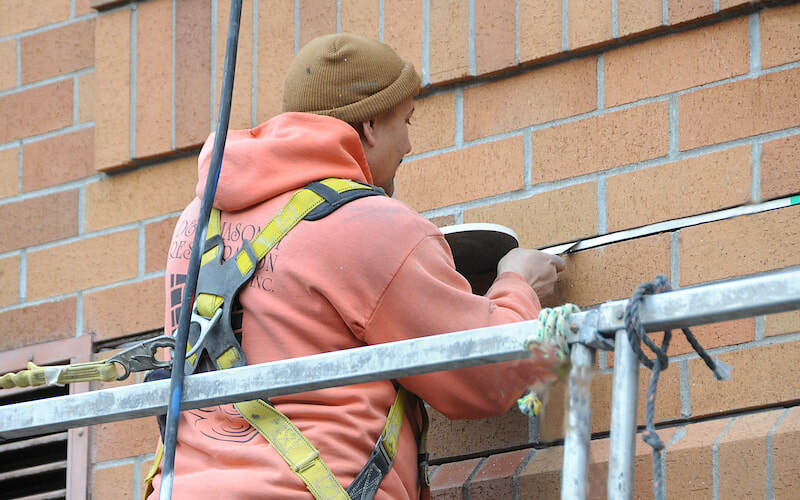 Skilled crews from D&R Masonry Restoration did a complete caulking, grinding, tuck pointing and sealing of the brick exterior. 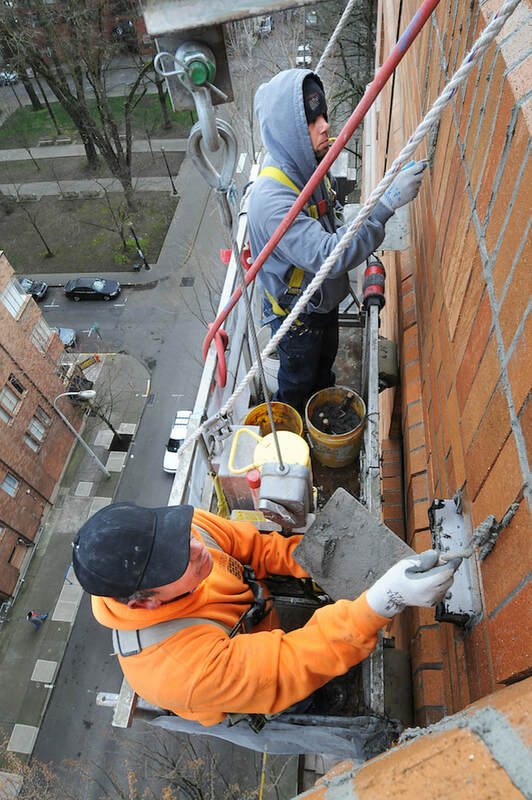 Also, so far more than 1,800 bricks were replaced during the course of this project. 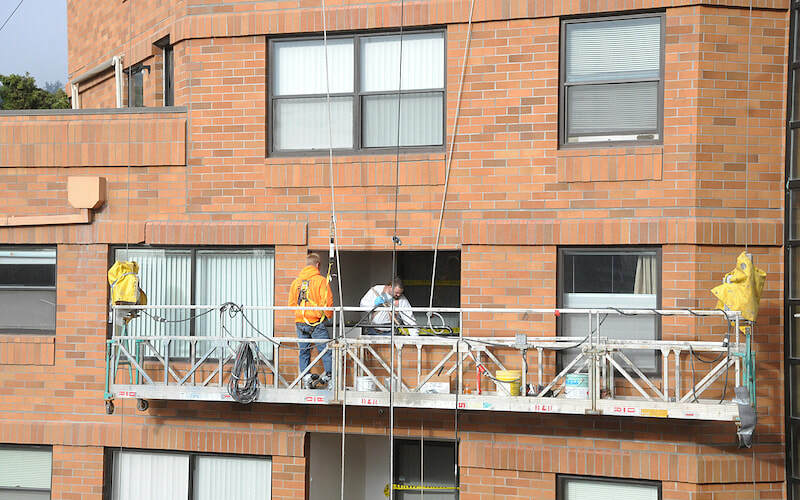 Finally, 180 balconies of the occupied units were waterproofed and upgraded. 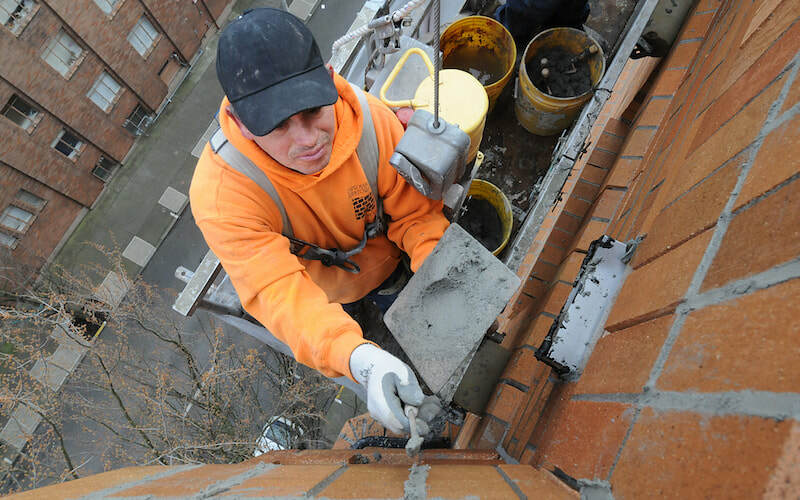 "We've got a bunch of experienced people with a wide range of skills on this extensive and challenging project. 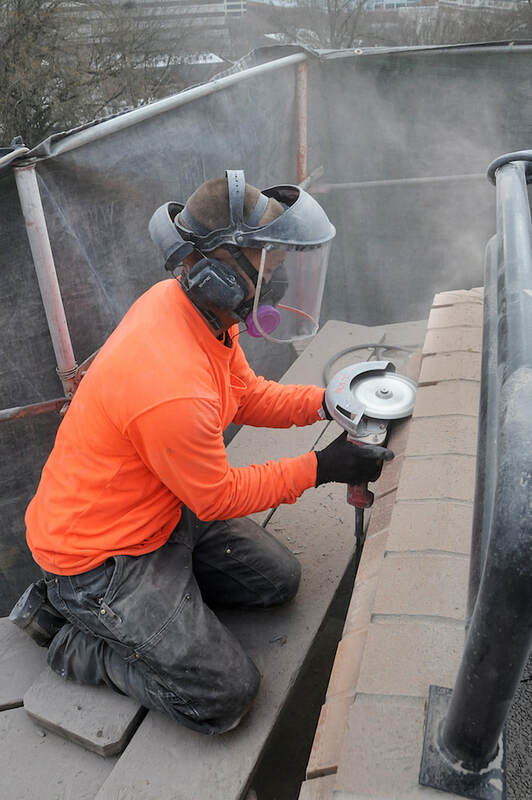 The work is requiring lots of expertise and equipment, but we can handle it. We are confident we have the know-how to complete the job successfully."